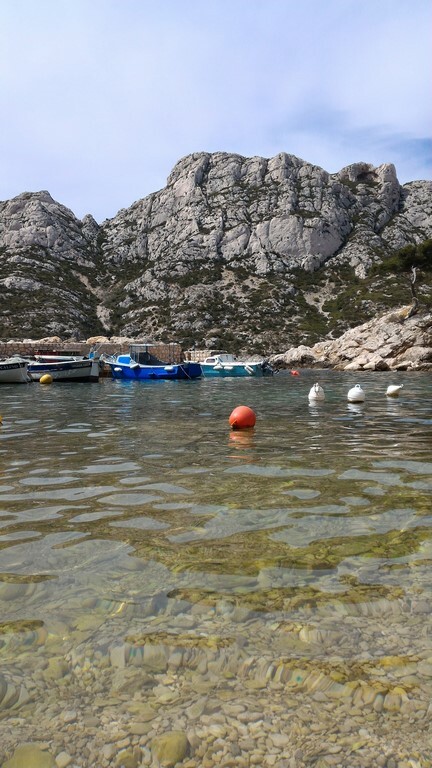 Circular hiking trail from Luminy to three emblematic places of the Calanques: Sugiton, Morgiou and the Triperie. Loop departing from Luminy to visit some emblematic places of the Calanques. On the first part, we will escape the classical paths to go along less frequented trails. 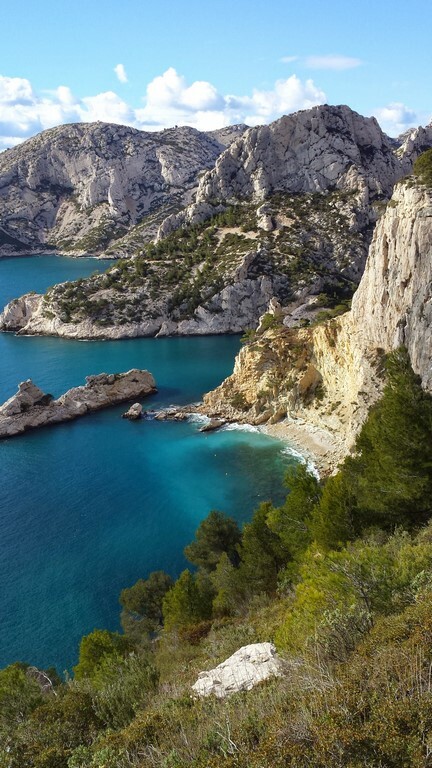 A quick round trip to the Sugiton panoramic viewpoint will give you a view over the Calanques area and a complete panorama of the uplands. We will go down to Sugiton’s Calanque through the “Falaise des Toits”. A coastal path with some rocky passages, equipped with ladders will lead us to Morgiou. From there, we will get to the Triperies’ calanque passing Morgiou’s small fort. We will be above the Cosquer cave. We will then go back to Luminy through a long upwind session on the ridge of Morgiou.